It's unclear what Robert Downey Jr.'s future as Iron Man is after Avengers 4, but one thing we do know is that he's returning to another fan-favorite blockbuster franchise. 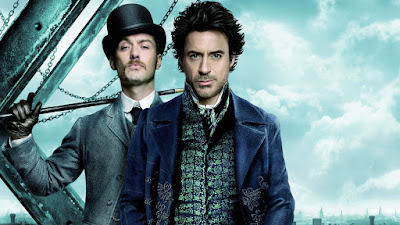 Just weeks after he expressed a desire to return for Sherlock Holmes 3, Warner Bros. has officially dated the film for Christmas Day 2020. Downey will return as a more action-oriented version of the legendary detective, with Jude Law coming back as his underappreciated partner John Watson. It's unclear if Guy Ritchie will be back to direct this one as he did the first two movies. He might be too busy with Disney's live-action Aladdin movie. Narcos creator Chris Brancato wrote the script. The two previous Sherlock Holmes films have combined to earn Warner Bros. over $1B so you knew they weren't going to let it just fade away. It'll face some stiff competition on that date from Avatar 2 which opens just a week earlier.